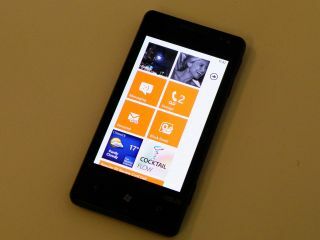 Microsoft has outlined how well (or not) apps will work on the lower-cost, lower-spec Windows Phone Tango. Predictably, there are a few shortcomings for the stripped-down OS, most notably that the lower RAM (256MB) availability will mean no podcast subscriptions (audio and video). Also kicked to the curb are automatic image upload to Skydrive and fast app-switching (although you didn't really expect that to make the cut, did you?). While Microsoft reckons that most Windows Phone apps will work on Tango, it does note that some won't, adding that "Apps that perform adequately today may perform noticeably slower on lower-cost devices." So why bother? Because Microsoft wants to make sure that its Windows Phone range hits every pricepoint, and has been eagerly eyeing the budget end of the market in which BFF Nokia has had so much success with Symbian. We've already had a basic look at the OS in our hands on Windows Phone Tango review and it performed pretty well - but we suspect that it'll be in prolonged use that Tango's shortcomings become clear.